From Farquharson Saddle the Main Divide offers an easy approach to Mt Keddell. Later in the season there is a tarn 100 metres south of Pt 1816 metres near the ridge. 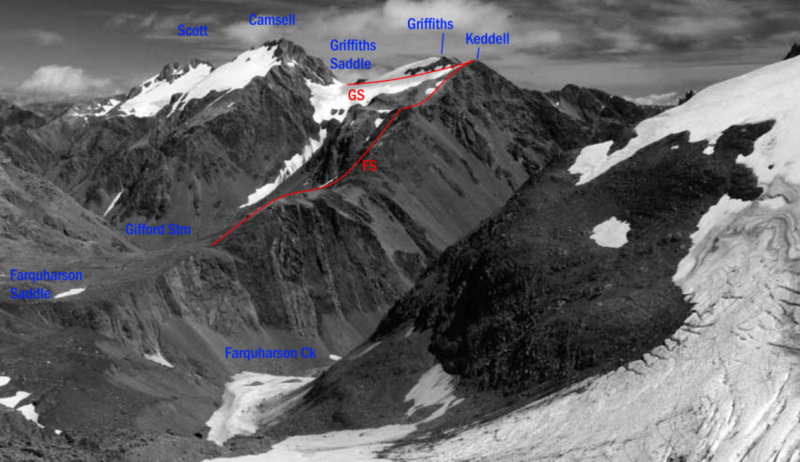 From Griffiths Saddle an equally easy route heads north across a snow basin to the Main Divide to reach the rocks of Mt Keddell.